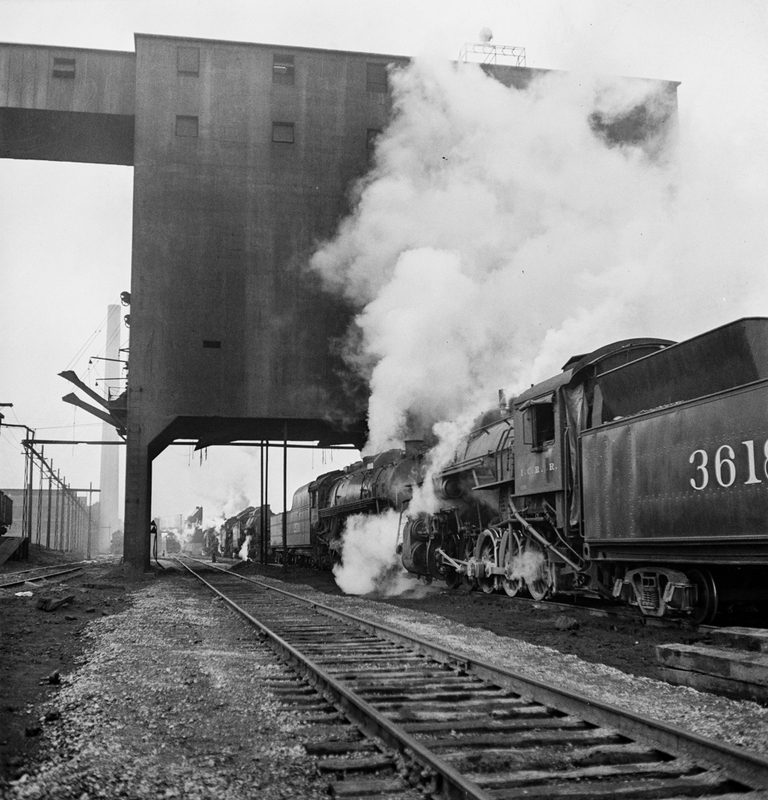 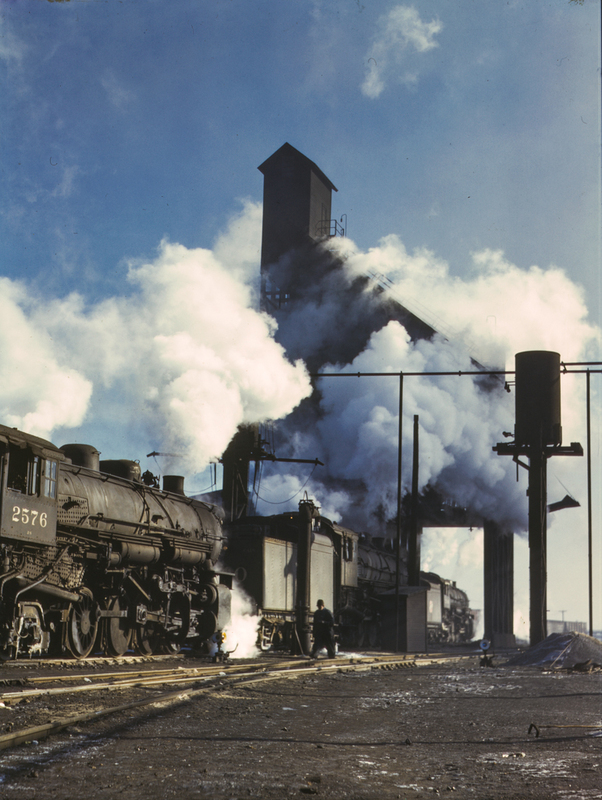 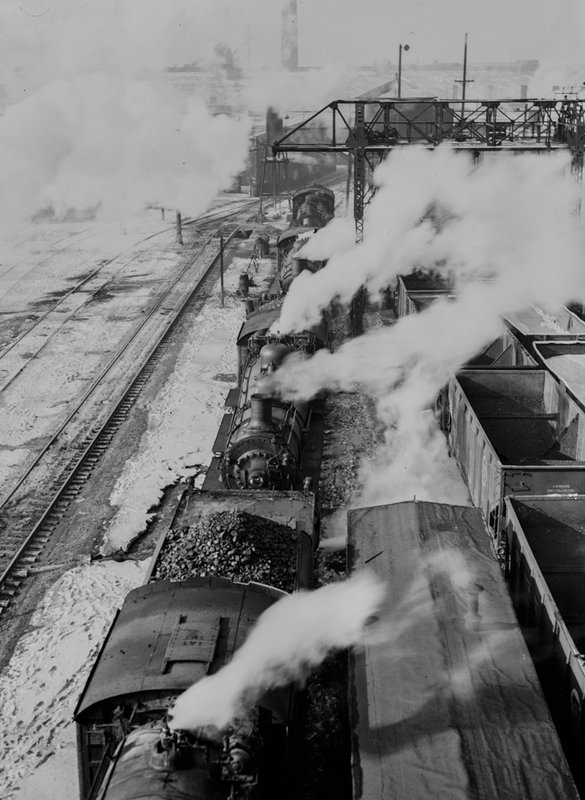 Having explored inside the railway works, Jack Delano continued his documentation of the Chicago and North Western outside in the switching (shunting) yards. 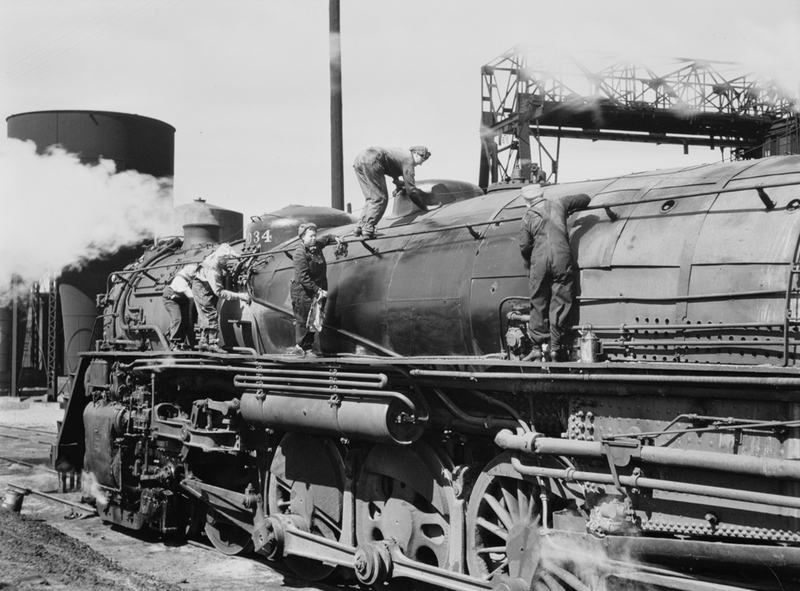 One tends to forget the enormous size of American steam locos until you see them with people next to them, and those depicted in these pictures aren’t even the really big stuff like the articulated ‘Big Boys’ that were built for war service in the American southwest. 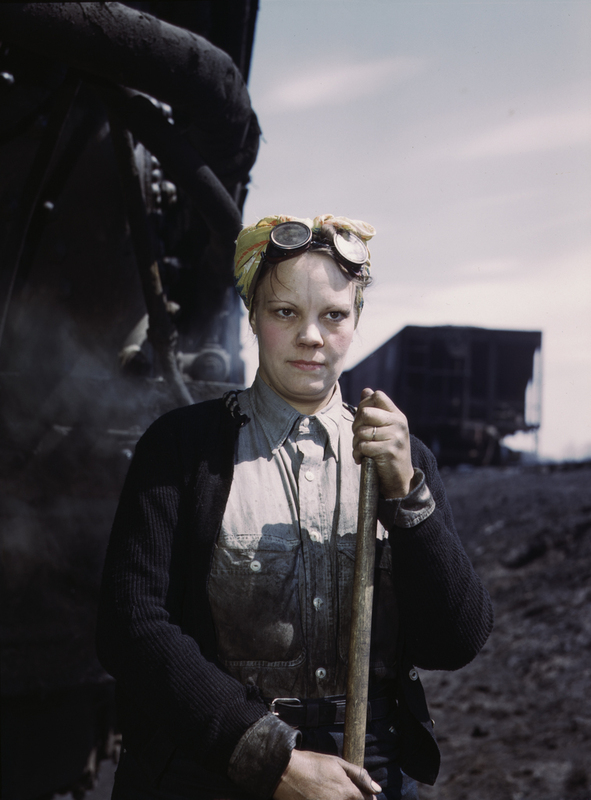 It is interesting to note the women workers drafted into work in the railway – they are described as ‘wipers’ which I presume translates into ‘cleaners’ in British railway-speak. 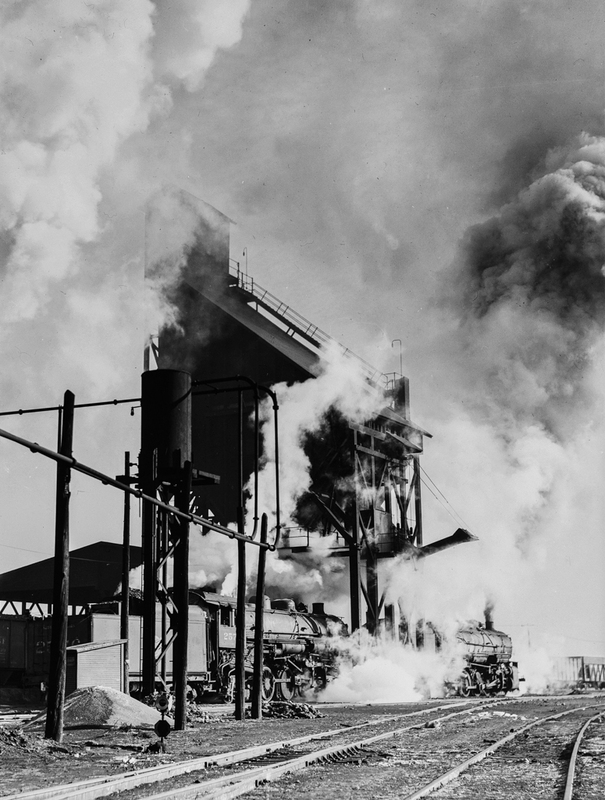 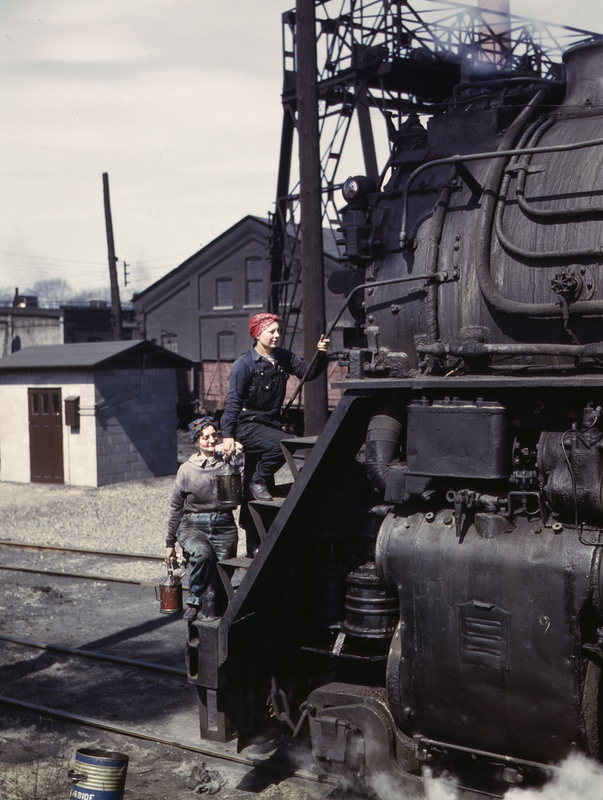 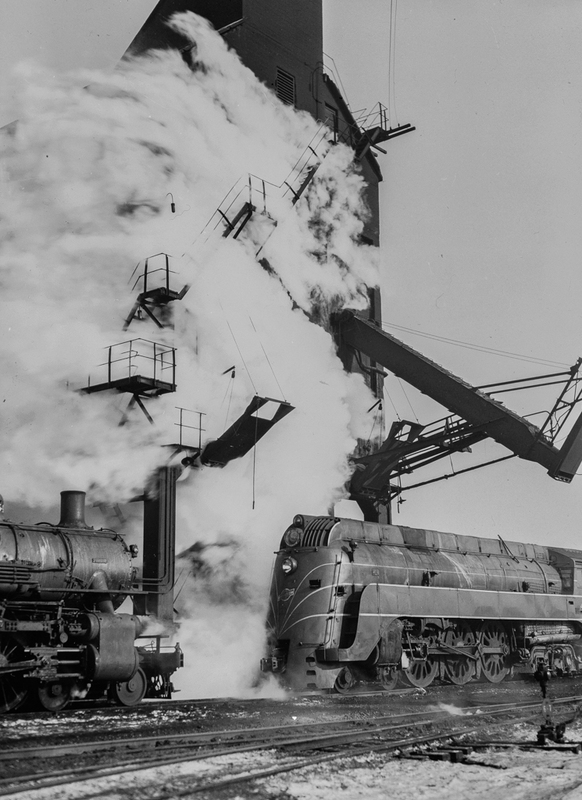 Much was made of the women aircraft workers (Google ‘Rosie the Riveter’) but like in Britain, women were at work across all industries including doing some very dirty jobs such as locomotive cleaning as well as ship building.